There are currently 31,465 users on this website. What do you mean 3D ? john100 when you roll the coin around. the leaves of the poppy move. its very beautifull to see. out of 30 poppy toonie. I found 3 of them with this 3 D effect. that is pretty amazing. when you roll the coin around. the leaves are like they are blowing in the wind. I wonder how could I video this. then shrink the video to fit on the forum. I am sure if you have special wrap rolls. there has to be more of these very unite. Got two regular shrink-wrapped rolls from my local RBC last week. Opened one up today to pick out singles. Imagine my disappointment when I found all 25 were coloured. The other roll has a coloured coin on the end and would like one intact roll. Are there regular rolls with a mix of plain and coloured or do I now have to try and find two rolls roll with a plain coin on the end for face value in order to achieve my goal? The original mint poly rolls are either all colour or non colour rolls only the special paper ones are mixed. 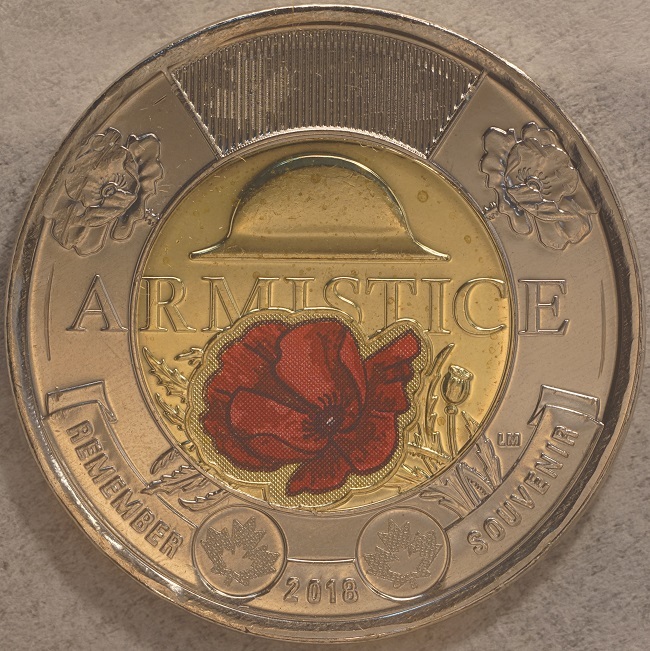 I just got one poppy in change, colour, all I need, looks great, I think the quarter with the large poppy on it, almost covers the coin, is still my favourite, I think it was the the last poppy quarter? 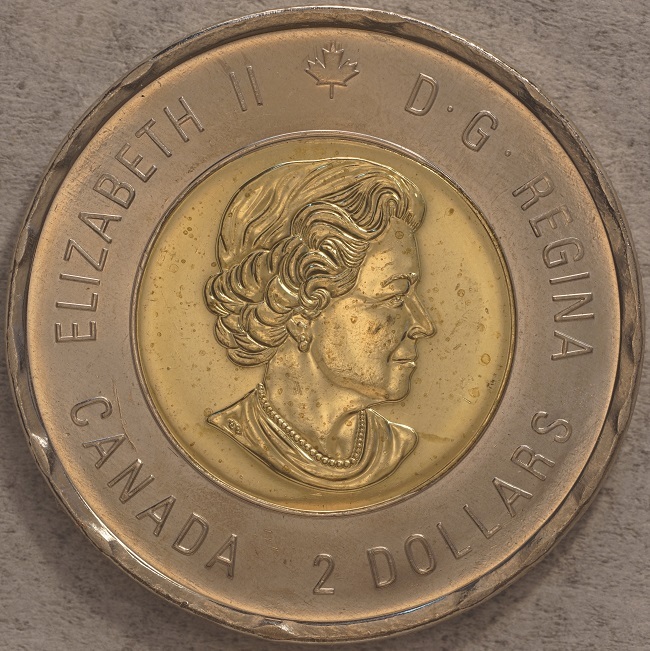 More about the 3D toonies Rocky! you have great attention to detaill, so I'm really interested in seeing what you're talking about. Alan well I knew they would surface. I am shocked how much they are selling for wow. well I have 3 of them. the only thing. I notice about these 3 coins. when you look at your coin. if you notice a shadow image on the surface of your coin. check it very closely. I have not yet figured out how to photograph this effect. well one thing for sure. they sure are not cheap. I have checked a few for some friends. that was the one thing we noticed together. no shadow image no 3 D. I hate seeing them. tear that special wrap paper off not finding any. have a great one hope yours is 3 D.
i was wondering does anybody know. did the mint produce a different poppy toonie for the world sets. I know the world sets are on sale UK. I seem canada poppy toonie in the set. that was being advertise for sale. How much are they selling for. Can't find any on ebay listed or that have sold. Odd. yes alan one sold locally for 1000.00. that a lot to pay for a coin. when there could thousands of these out there. Is there anything different with the die? alan this coin is out of a special wrap roll.the coin is double died. you can see that, there is some weak die components. but all and all very nice coin.